*We're keen to keep it as comprehensive and up-to-date as possible, so please do get in touch with us if there's anything you'd like us to add. 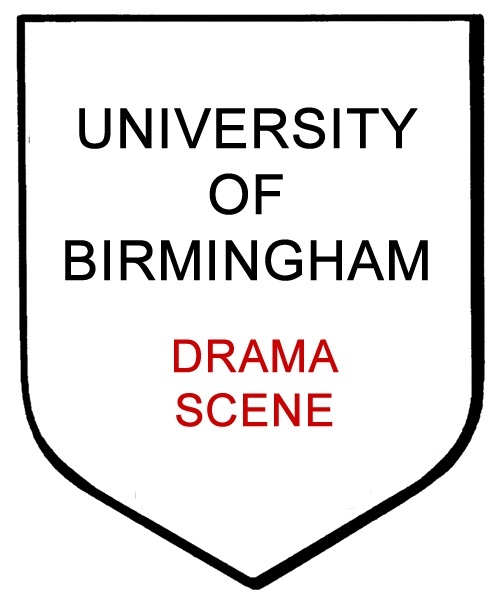 Can you study drama at Birmingham? The BA in Drama and Theatre Arts is roughly split equally into theory and practice. The theoretical side has a strong emphasis on the Modern Drama with specialist modules in Ibsen, Pinter and Brecht. The practical side focuses on lab and praxis. The MRes in Directing and Dramaturgy is a research postgraduate degree with an end of year thesis. The practical side of the course focused on devising, dramaturgical development skills and directing Shakespeare. 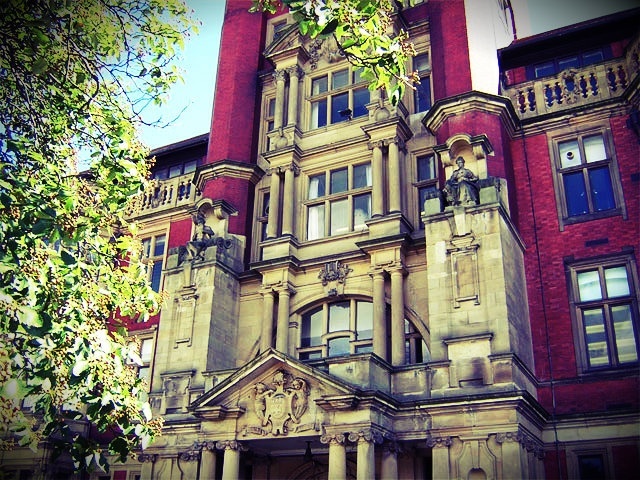 Birmingham has one of the liveliest drama scenes on the University circuit. Each of the main drama societies (with the exception of GMTG which produces one show per term) puts on roughly three productions per term, bringing the total for the Guild of Students to about 40. 3BUGS Fringe Theatre focuses on post-modern plays, takes a couple of productions to Edinburgh each year and runs the annual Birmingham Fringe Festival on campus which is becoming more and more popular through the years. There are various pop-up spaces that are available for acts of all kinds. WatchThis specialise in new writing and often work with the MPhil Playwrighting students at the University to produce first draft productions. They also have a fantastic old tradition of a '48 Hour' play in which the cast have one week to learn the script to a famous film or show re-worked by student writers (such as the entire Harry Potter series...) and only 48 hours to rehearse it. Funding is very competitive. Each society has to fill in an extensive funding application at the beginning of the year. If you are resourceful and cautious, the amount you get awarded is absolutely workable. The Redbrick Newspaper, one of the oldest red brick university publications, publishes reviews on the shows at the Guild. They are distributed throughout the University campus and the Guild itself. The 'Debating Hall' in the Guild of Students is the largest space available to student groups. It can hold around 300 people and is fully teched for theatre productions. The 'Underground' in the Guild of Students is the second largest theatre space and can hold around 150 people. This space is also fully teched. There are two or three other smaller rooms in the Guild of Students which have often been converted into black box spaces and technical equipment can be hired from the dedicated Technical Services department at the Guild. New Alexandra Theatre - receives touring comedians, one night shows, plays and musicals. Birmingham Hippodrome - receives large scale touring musicals, operas and plays. The Crescent - amateur theatre producing classic plays and musicals. The Drum - black-led arts centre. Birmingham Rep - one of the most influential rep companies in the history of the English stage. The Mac - non-profit arts centre hosting plays, concerts and film showings. 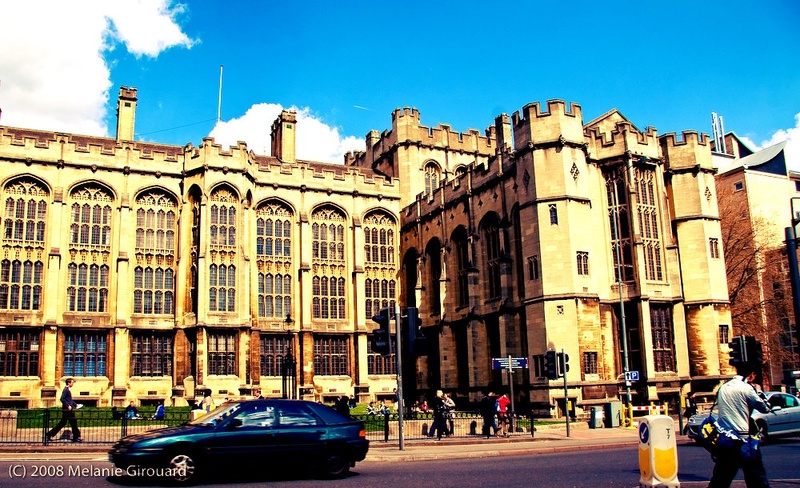 Can you study drama at Bristol? As an undergraduate, you can study Theatre and Performance Studies by itself, or can do a joint honour degree where you study Theatre alongside English or a wide range of foreign languages. Bristol has a really diverse drama scene, ranging from devised productions by drama students in the Wickham Theatre, to a 48 hour new writing show by Musical Theatre Bristol, to performances on the Treasure Island stage on King's street during the summer Harbour Festival. There are plenty of amateur theatre companies with links to both Bristol and UWE universities and lots of interesting venues - several of which are located in and around local pubs. 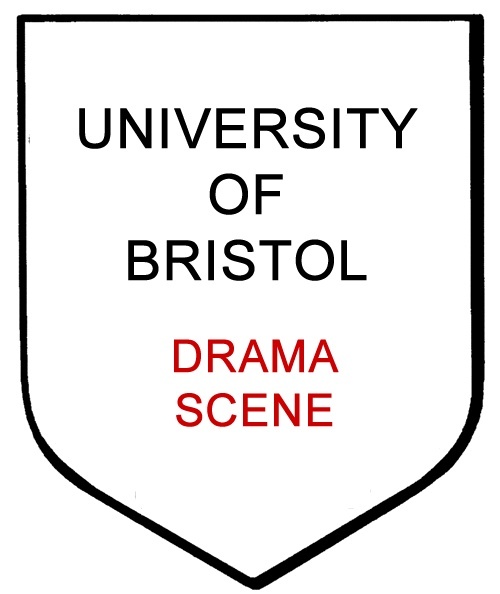 Studiospace is the official student production company of the University of Bristol's Drama Department. DramSoc is quite a traditional drama society. Its members direct freshers in a scene from a famous play in the first term in what is known as Trash. Spotlights drama society is a bit more experimental. Panto Soc have a big Christmas panto at the end of the first term which is very inclusive. They also have a free panto in the second term. Studioscripts sees students of the drama department develop original scripts with the help of professional playwrights and The Bristol Old Vic's Literary Department. As well as attending a number of group writing workshops, participants meet with Sharon on a fortnightly basis at the Old Vic to discuss their work and the ways in which it could evolve. The pieces of writing deemed to have developed most significantly are ultimately selected to be staged in the Bristol Old Vic studio at a showcase performance in summer term. Bristol Theatre Review publishes two reviews online of the first night performance of a variety of shows. BTR also directly feeds into EdFringe Review which takes student reviewers to cover the more undiscovered parts of the Edinburgh Fringe Festival. Epigram, the student printed newspaper, also reviews some plays; the Bristol Playgroup publishes two anonymous reviews of performances without star ratings; and Intermission Bristol is an online forum for cultural information. Other professional publications include the Bristol Evening Post (the local paper), Venue (a monthly arts magazine for Bristol and Bath) and Guide 2 Bristol. Can you study drama at Cardiff? There is no specific drama or theatre studies course at Cardiff University. Act One is Cardiff University's drama society; it plays an integral role not only in the theatre scene at Cardiff University itself, but within the students union and the wider community of the city. With over 260 members, 6 main productions, Edinburgh productions and many pop-up events and writing opportunities, there are plenty of opportunities for all members. Members have an active relationship with non-student amateur dramatic companies in the city and regularly participate in productions, for example Orbit Theatre's Beauty and the Beast at The New Theatre. There is something for everyone at Act One, whether you're interested in musical theatre, Shakespeare, comedy, pantomime, crewing and tech or writing. Related societies at Cardiff University include: Broadway Dance, Capoeira, Fforwm Experimental Theatre Society, A Cappella Society, Operatic Society, , TCUPS - Purcell Singers and many more. New writing is a key component of Act One drama society, with at least one of the annual main productions being an original piece. In addition, there are opportunities to write for events, fund-raising events such as the Variety Show and the annual showcase and celebration of original writing, Staging a Coup. Staging a Coup is held annually in the spring term and comprises of seven fifteen-minute original plays in a minimalistic fashion and often held in striking venues. Funding and budget is allocated and managed by the elected committee; with income coming primarily from membership fees, sponsorship from local companies and Union funding. 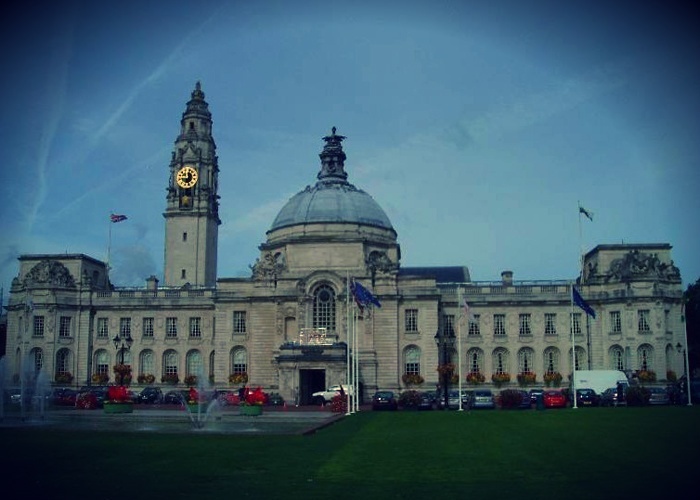 Cardiff University has an active and award-winning student media body consisting of the weekly paper gair rhydd, fortnightly lifestyle magazine Quench, Xpress radio station and CUTV. Act One enjoys a successful working relationship with the weekly paper gair rhydd, who often revue productions and advertise events. Chapter Arts Centre	- An ambitious, multi-platform cultural space based in Cardiff's fashionable Canton area offering international art, performance and film alongside a dynamic social space. Cardiff YMCA Theatre - An intimate theatre space in the heart of Roath and Cathays, the hub of student activity in Cardiff. 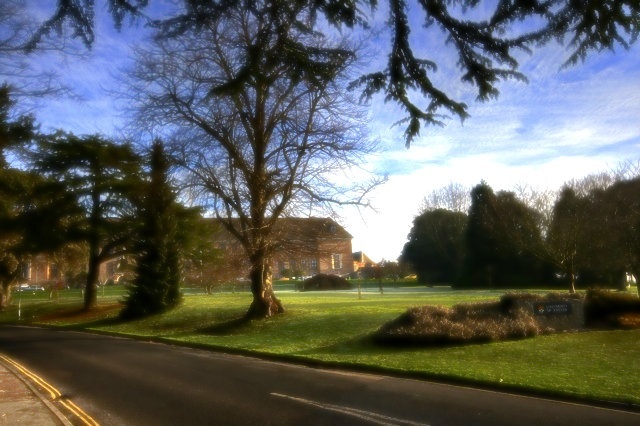 Llanover Hall Arts Centre - A Youth and Community Centre run by Cardiff Council. Cardiff Students Union - The Union has a host of venue to rehearse, meet, perform and socialise in. Cardiff Gate Arts Centre - A charity theatre venue housed within a beautiful 100-year-old, grade II listed building. The New Theatre - Opened in 1906, is Wales' number one venue for the best in drama, opera, musicals, dance, pantomimes and children's productions. St David's Hall - A world-renowned venue in the heart of Cardiff city centre, the National Concert Hall and Conference Centre of Wales. Wales Millennium Centre - Locally known as the Armadillo, is a centre for the arts in Cardiff Bay. The main theatre, the Donald Gordon Theatre, and has hosted an array of international stars, operas, touring musicals. The Sherman Theatre	- With a brand-new building and immediately next door to the Student's Union, the Sherman is popular both with students and theatregoers alike. 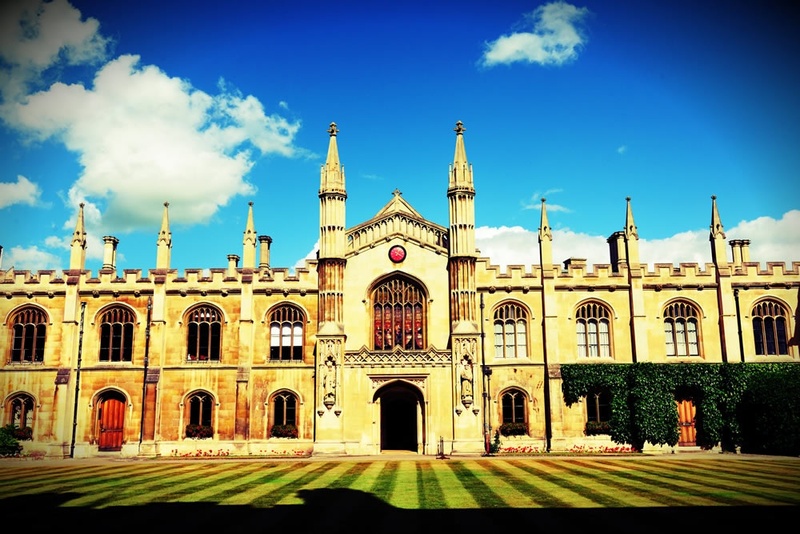 Can you study drama at Cambridge? You can study drama as part of the Education, English and Drama course. The drama part is taught by the Education faculty and looks at its historical contexts as well as the practice of drama production, including theatre skills and dramatic writing. The Cambridge University theatre scene is almost definitely the most developed student theatre scene in the UK and opportunities to get stuck in abound - it's equally open to students who do and don't study it. â¢ The Cambridge University Amateur Dramatic Club (CUADC) tries to promote a wide range of shows and is the largest of many UK student drama societies. It takes shows to Edinburgh each year. â¢ The Cambridge Mummers are a regular producer with a good reputation for the shows they take to Edinburgh. They are beginning to do shows in Cambridge as well. â¢BATS, based at Queen's, are also very active. â¢ The Marlowe puts on one very big production a year and employs a professional director. â¢ The all-famous Footlights run a spring revue, half the pantomime, and have a tour show each year as well as regular Smokers (late night comedy shows which give you the chance to try out your own material). â¢ The European Theatre Group (ETG) tours Europe with Shakespeare plays at Christmas. â¢ The Cambridge American Stage Tour (CAST) tours the United States with Shakespeare plays in the summer. â¢Cambridge drama also continues into the summer with shows at Camfest (Cambridge Arts Festival) in July. There are also college drama societies, privately funded productions and a host of other groups and companies. Corpus Christi College Fletcher Players put together Smorgasbord, an annual festival of new writing. Footlights run regular Smokers (late night comedy shows which give you the chance to try out your own material). WRiTEON is a Cambridge-based group that stages rehearsed readings of new drama. Menagerie Theatre Company is the leading independent new writing theatre company in the East of England. It is starting to expand its reach, taking its shows to London, Colchester and Bury St Edmunds. Cambridge Writers brings together published and unpublished writers to work on a variety of forms and receive critical assessment. Funding is generally pretty good: if you are resourceful and tap into the various university and college funds available, you should be able to put on just about anything. Take advantage of this while you're there - thanks to generous alumnae and Cambridge's extensive wealth and history the opportunities for funding are far better than in real life! Cambridge has three main newspapers: Varsity, The Cambridge Student and the controversial The Tab, a tabloid sensationalist paper. All of these have print and online versions, and have extensive coverage of most shows. Cambridge Theatre Review (CTR) publishes two reviews online of the first night performance of a variety of shows. CTR also directly feeds into Ed Fringe Review which takes student reviewers to cover the more undiscovered parts of the Edinburgh Fringe Festival. The ADC Theatre is very well equipped but traditional in its style. It puts on a mainshow and a lateshow every week of term. The Playroom, which belongs to Corpus Christi College, is very small by comparison but very good for productions which involve only simple set and lighting but which benefit from closeness to the audience; there tends to be a mainshow and a lateshow at the Playroom most weeks. The Fitzpatrick Hall at Queens' hosts two mainshows and lateshows a term and has a good stage. The Pembroke New Cellars have recently been renovated and shows are staged there regularly. Can you study drama at Durham? There is no specific drama or theatre studies course at Durham. There is a lot of drama going on in Durham, both within the colleges and under the umbrella of the DST (Durham Student Theatre). Colleges transform gardens, dining rooms and quads into performance spaces all over Durham, while huge extravaganzas are put on termly by ambitious directors and producers. The musical theatre scene is thriving which means you'll get to see some exciting productions that go beyond the boundaries of normal student drama. In second term, there's the Durham Drama Festival, a new writing competition between Durham, Newcastle, Leeds and Sheffield. The DST allocate pockets of funding to shows. You have to apply for these grants. Durham Theatre Review (DTR) publishes two reviews online of the first night performance of a variety of shows. DTR also directly feeds into Ed Fringe Review which takes student reviewers to cover the more undiscovered parts of the Edinburgh Fringe Festival. The Bubble publishes previews of performances, while the student newspaper, The Palatinate, publishes print reviews. Durham 21 has a theatre reviewing section and First Night (which is run by the DST) publishes online first night reviews. Artslink is the DST's termly magazine that keeps members up to date with the goings on of the DST, with reviews in it of past productions. The Assembly Rooms Theatre is an historic 220-seat proscenium arch theatre in the heart of Durham City. Can you study Drama at Edinburgh? 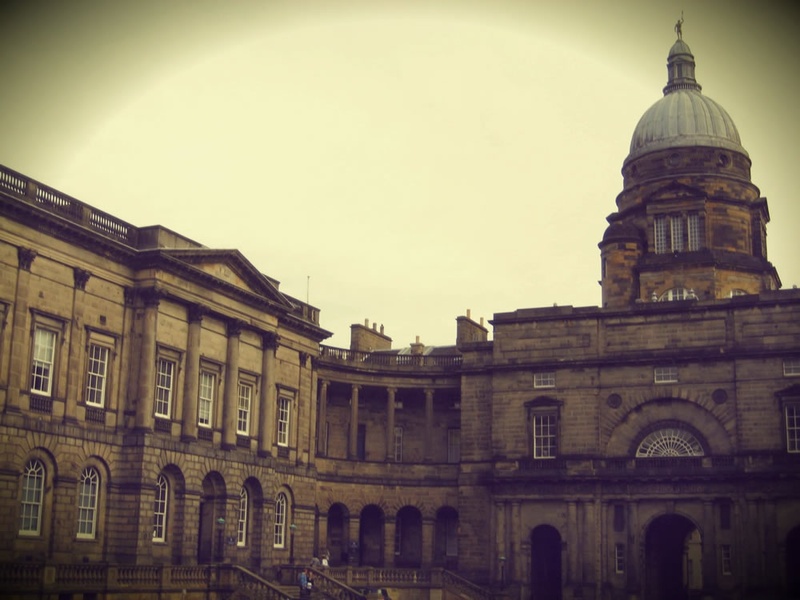 Edinburgh University offers two post-grad courses that focus on the theatre. The MSc in Playwriting is a programme for budding playwrights, directors and critics to explore writing for performance as well as how a story plays out in front of an audience.The MSc in Theatre and Performance Studies explores cultural and historical shifts in performance theatre. LesEscogriffes is a French Theatre Society. ReliefTheatre is a smaller society which focuses on educational workshops. Theatre Company (Bedlam) puts on about 40 shows every year by its members as well as a number of workshops to help students learn about every aspect of theatre. Theatre Paradok is considered the alternative theatre society for experimental productions. Theatre Company strives to produce new writing in addition to classics, and looks to encourage new writers by using scratch nights and other workshops and social meets. The Bedlam Theatre in particular have enjoyed considerable funding in the past from the likes of the RBS Group, but with arts funding dwindling they are looking for other forms of sponsorship for their development of Bedlam: A Bright Future so that they can modernise the 90-capacity theatre and acquire state of the art faculties. Part of this is funded by membership fees to the Company. The Bedlam Theatre houses the Theatre Company and especially encourages new writing. PublishED is the University's writing and publishing society who have gone on to create literary magazine The Inkwell: a showcase for students original prose, poetry and drama work. There is also the Edinburgh University student newspaper. Can you study drama at Exeter? There is indeed a drama course. The split between practical and theory is dependent on which modules you do, but is normally 50/50. Everything you learn theoretically, you will explore practically to back it up. There are about 15 course-based productions put on a year, and another 15-20 productions put on by non-course based societies. Exeter's also very open to independent productions: if you want to put on a play, you can. There are also lots of events and festivals going on in Exeter. EUTCo, Footlights and Gilbert and Sullivan annual performances in the Northcott always attract a big crowd. The summer term also sees drama students turn their attention to the T3 Drama Festival, during which time over 50 productions are showcased. The seven week long spectacle of performances ranges from comedy nights, dance theatre, script adaptations, writer's evenings and devised work. Many students from Exeter also take things up to the Fringe and enter the National Student Drama Festival. Ignite is also a fairly new arts festival on the scene, which is one to be watched. Drama Society: this offers information and events relating to the other drama societies and the drama department, from audition advice to activities for people interested in drama. EUTCo (Exeter University Theatre Company): The largest and longest running theatre company on campus, EUTCo produces plays, runs workshops, organises trips and holds socials. There are opportunities to get involved in any role, be it acting, technical, directorial or artistic. Plays range from student-written to classic drama and there is an annual show taken up to the Edinburgh Fringe. Footlights: University of Exeter's biggest musical theatre society, which stages roughly three shows a year. Gilbert and Sullivan (EUGNS): Responsible for bringing the works of Gilbert and Sullivan to life. Renowned for inclusivity and very enjoyable productions. Shotgun Theatre: A musical theatre sociality responsible for quirkier material, including cabarets and open mic nights. In the past two years Shotgun has also jointly organised with Footlights the 48 Hour Musical, where a team of brave composers, writers and performers try and create a brand new musical with an original script and songs in the space of two days. Theatre with Teeth: this society seeks to challenge dramatic boundaries to create bold, new and relevant theatre. The company typically take part in Exeter's Ignite Festival, the National Student Drama Festival and the Edinburgh Fringe.The society regularly organises their own take on the 24 Hour Plays on a termly basis, inspired by the annual event run by the Old Vic in London. Writers, directors and actors are gathered together and challenged to write, rehearse and be ready to perform a play on the M&D Room stage the next day. For those wanting to take part in comedy specifically, look out for the brand new Exeter Revue which was formed this year, and presents regular sketch, stand-up and improv comedy shows on campus. Looking to emulate the renowned student revues of Cambridge Footlights and Bristol Revunions, the Exeter Revue auditions for new members each year and intends to take a show up to the 2014 Edinburgh Fringe Festival. The Student TV Station XTV also offers plenty of opportunities for budding comedians, including workshops in Fresher's week teaching you how to direct, film and perform in a comedy sketch. Throughout the year, you can create your own sitcom or sketch show for broadcast, and they regularly film live stand-up nights around campus which you can apply to perform at. New writing is strongly encouraged amongst all students. The birth of Scratchworks- a theatre company made up of Exeter alumni that produce new devised work in and around the city - demonstrates this. Theatre with Teeth also fosters and encourages new writing talent through a range of workshops and events. For the T3 festival, each play is given a small budget from the Drama Department. The bigger companies like Footlights, EUTCo and Theatre with Teeth have funds which are made from their annual show/ membership fees and are reinvested each year into the new one. The Northcott has overcome several years of financial hardship, with the recent appointment of a new administrative body. Things are looking up - it certainly has a large support group amongst students and residents alike. Students looking to create an arts project that will represent the university in Exeter and beyond are also welcome to apply for funding through the Exeter Annual Fund, which supports the ventures of students and academics that might not otherwise receive financial backing. The Northcott Theatre is on campus and an independently run professional theatre that allows 3 student productions in it per year (Footlights, Gilbert & Sullivan and EUTCo). The Phoenix - professional theatre, but has been used by students for productions in the past. The venue has a variety of spaces, from The Auditorium which seats just over 200 to its Black Box Studio which seats 40. The latter of these has often been popular with students looking for spaces to hire in the centre of town. Barnfiel - professional theatre, but has been used by students for productions in the past. Roborough Studios - these two studios, which can be found on campus, are used almost exclusively for Drama department productions but are occasionally made available for Exeter-affiliated theatre societies. M&D room - is another on-campus space, located in the Student Guild building Devonshire House and seats 120. Clubs, restaurants, bars and houses in and around Exeter often get the call up for 'site specific' pieces. Can you study drama at Glasgow? There is a Theatre Studies MA that focuses on the nature and function of theatre culture and theatrical events. It has both a theoretical and critical approach to theatre and performance. Student Theatre at Glasgow (STaG) is the oldest and largest student theatre society in Glasgow. The group is completely run by, and for, students and any students regardless of university are welcome to join the society. A small number of our members are also non-students. We accept members from all backgrounds and levels of experience with theatre, no matter whether you are a complete novice or a life-long theatre fan! STaG deals with all aspects of theatre production, from writing, acting, directing, designing and publicising to managing shows of varying sizes staged on campus and also in more unconventional locations across the city. STaG have their own rehearsal space on campus which is also used as a studio theatre. Encore Theatre Society, previously known as the Staged Theatre Society, is an informal group for anyone interested in theatre - whether it's directing, writing, performing or any technical work. They can come together for a monthly cycle of three short plays of new and old work. 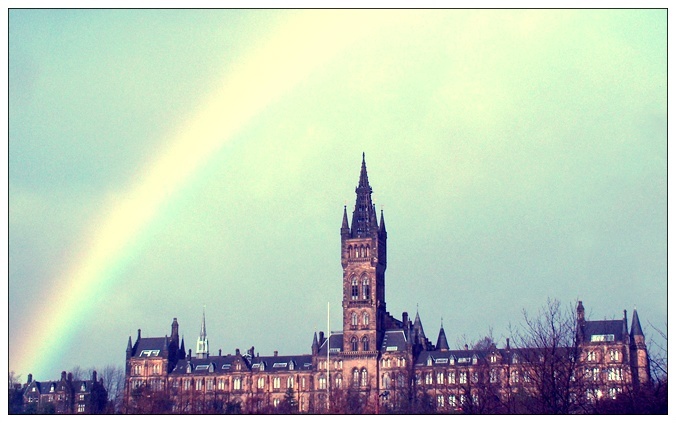 The Cecilian Society has been running for 60 years and is the University of Glasgow's prime musical theatre society. It is an open society and every new member is accepted into both productions, regardless of experience. As well as performers Cecilians welcomes musicians, directors, musical directors, choreographers and backstage members. James Arnott Theatre seats 182 and is used by both student and professional companies. The Performance Studio has lighting and sound facilities and can be used as a rehearsal space and for workshops. The Tron Theatre focuses on writing from the past ten years. It provides a versatile space for performing, rehearsals and workshops. Can you study drama at Lancaster? Yes, Lancaster runs a BA in Theatre Studies within its Institute for Contemporary Arts. The degree is split 50/50 between theory and practice with a focus on contemporary European theatre practice. There is also joint honour degree with English, French or Creative Writing. Lancasters theatre scene is centred largely on Lancaster University Theatre Group (LUTG). LUTG put on at least 12 shows a year as well as an annual musical collaboration (with both the music society and the dance society) and a show for the Edinburgh fringe. The society is dedicated to giving everyone a chance to be involved and performs a wide variety of material from Shakespeare to Simon Stephens as well new student writing. There is a role for everyone as the society is responsible for back stage teams, production teams, casting, finding venues to perform- everything and anything that goes into putting a show on! LUTG hold open drama nights each term in an effort to provide a platform for devised work, original writing as well a chance to showcase hidden talent. Often invited along is Lancaster Universitys Comedy Institute (LUCI). LUCI meet regularly and holding a weekly comedy night at one of the universitys many college bars performing a mixture of stand-up, sketch and improve. New writing is a budding theme at Lancaster University theatre group but the society is keen to provide a platform for new writing and more creative approaches to theatre-making. LUTGs Edinburgh Fringe shows have historically been new writing or devised adaptations of classic texts. Theatre Group shows are done by the university newspaper Scan and often a freelance journalist for the Lancaster Guardian. Live at LICA is on the university campus and consists of the Nuffield Theatre, Peter Scott Gallery and the Great Hall Concert series. The theatre is used for student performances as well as having a program of contemporary theatre including dance, physical theatre and new writing. Lancaster Grand is one of the oldest and longest running theatre in the UK and hosts comedians such as Michael McIntyre and well as amateur theatre groups and other touring shows. The Dukes produces a selection of professional live theatre as well as running a community theatre scheme. DT3 (one of their three venues) is often rented by LUTG for performances. Lancaster Arts City is an initiative across the district to get more people involved with the local arts scene with schemes such as First Friday where once a month arts organisations collaborate to provide a series of live events for free! Can you study drama at Leeds? You can do a BA in Theatre and Performance which focuses on performance techniques, directing text, script work and adaptations, and applied performance - in educational context or for community performances. You can also do a BA in Managing Performance, which focuses on managing and producing creative work, teaming up with people to collaborate on art projects for cultural social and economic change. Backstage - a group for those who are involved off-stage with everything from lighting and sound to crew and stage management. Open Theatre - alternative theatre society for you to create innovative performances. Pantomime - PantSoc for those who want to perfom or work behind the scenes. Stage Musicals Society - organise direct and choreograph Broadway and West End shows every term. Theatre Group - one of the longest running societies (formally the Dramatic Society) for acting, directing, producing or writing. Theatre Group takes two productions to the Fringe each year. In recent years, these have included new writing pieces such as Tell Me a Secret and Damned. The Leeds' Student newspaper reviews shows. 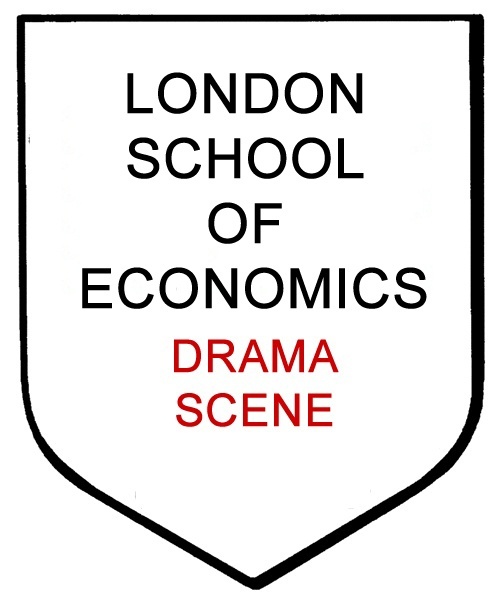 Can you study drama at LSE? The closest you'll come to studying any form of drama at LSE is as part of their English Literature modules, where you will study the plays of contemporary greats including Pinter and Beckett. The LSE has a very active and engaging Drama Society, where your evenings can be spent creating theatre as a performer, producer, director and writer, alongside a dedicated backstage crew. Producing around five productions a year, ranging from new writing, Shakespeare and the annual musical, with last year seeing a production of Avenue Q sell out its entire run, the Drama Society provides welcome respite from long days of study for members and audience alike. Unlike other societies the Drama Society is entirely self-funded, with money made from ticket sales and membership being fed straight into new productions. The university also has a popular improvisation group, who meet weekly and work towards creating shows at the end of term, proving a highlight of the universities social calendar. In recent years the improv group has started collaborating with other groups in London and have showcased their work at the Edinburgh Fringe Festival. The LSE has its own theatre company, The Revolving Shed. Formed in 2010, the company is dedicated to presenting new writing from the universities students at the Edinburgh Fringe Festival every year, following a preview season in London. This is funded entirely by the LSE Annual Fund, allowing for greater creative risks to be taken by the company whilst at the festival. Theatre reviews play a prominent part in the culture section of the student paper, The Beaver, published weekly on a Wednesday and found online. The improve group also has a presence on the student radio station, Pulse Radio, where they will often discuss all things theatre. 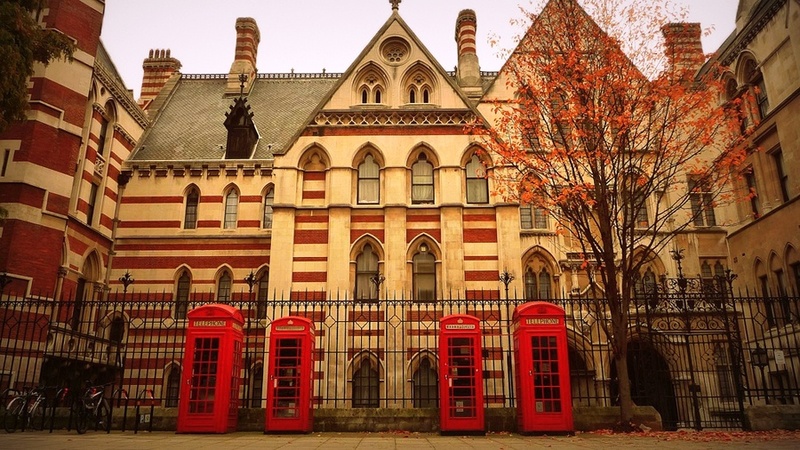 The LSE campus is situated on the Aldwych, so is a short walk from all of London's biggest theatres, most of which will offer reduced rates for students or have day seats available in the morning of the performance. The drama society also has a strong relationship with the producers at London's smaller, fringe venues such as The Old Red Lion, Finborough and Arcola Theatres, so there's forever the opportunity to see a show. 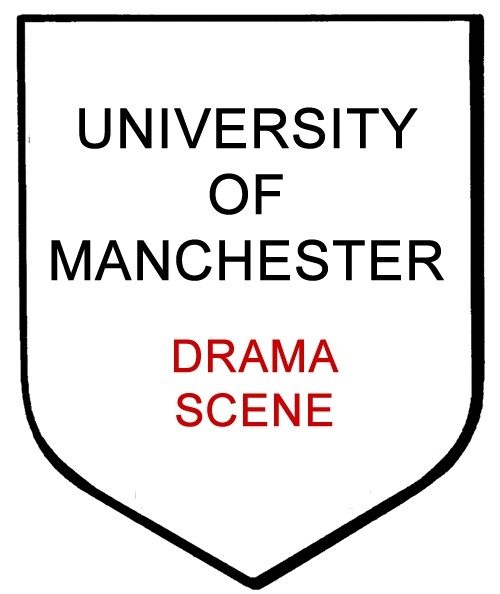 Can you study drama at Manchester? Yes. There is a straight Drama course and several other combined studies options. English and Drama combined is pretty popular, as well as Drama and Music. English, Film and Drama incorporates modules from the English, Drama and Foreign Language departments. The straight Drama course is a combination of both practical and theory although you can tailor your modules towards your preferences. The Drama Department allow students free reign to put on plays all year round, using their facilities. Some of these are part of the curriculum, but most are organised by wannabe directors, producers, writers and drama societies, all keen to get their stuff on stage. Anyone is welcome to take part or audition, so there are plenty of students from other faculties taking part as a bit of extra-curricular fun. New writing in Manchester is thriving, with a number going on to take their shows to the Edinburgh Fringe, Brighton Festival and smaller London venues. Plays are often given a budget by the department and any extra costs are covered usually by fundraising events thrown by the students themselves. 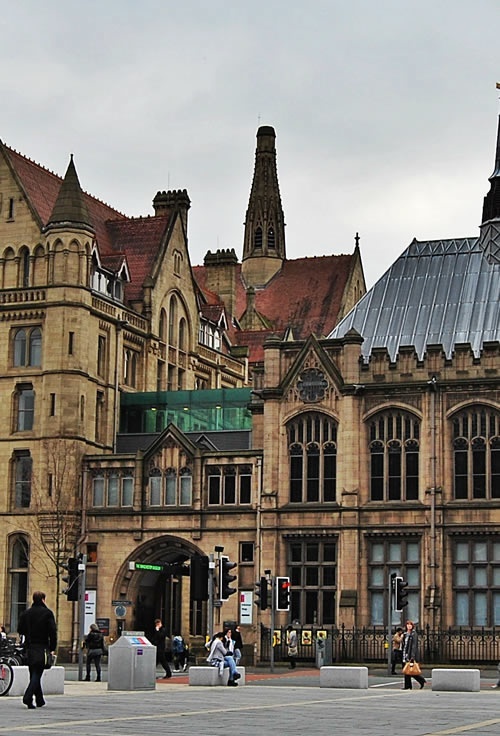 Reviews are usually found in the Student newspaper or Manchester's local Mancunion Newspaper. Palace Theatre Manchester and Opera House Manchester are part of ATG's new 'Manchester Gets It First' scheme. We're committed to bringing the biggest and best new musicals to Manchester before London, with shows like Ghost premiering in Manchester first. There are also some big one night shows at these two theatres. Can you study drama at Newcastle? There are drama modules you can take as part of an English degree but no Drama degree. NUTS (Newcastle University Theatre Society) puts on about 12 full productions put on every year, a new writing festival and a piece of new writing which goes up to the Edinburgh Fringe Festival. Of these full productions, there is normally one big musical, one big panto, and one big Shakespeare. The connection with Newcastle's non-student theatre scene is very good, especially with Northern Stage and The Theatre Royal (lots of people do internships with the latter); all the local theatres are happy for students to hire their space for very cheap rates. There is also an Oscars style party at the end of every term. A few new pieces of work get produced as main shows. There is an annual festival with 12 plays every summer, sometimes produced in the Northern Stage main space. The play that goes up to the Edinburgh Fringe Festival also has to be a piece of new writing. NUTS provides a limited budget for costumes, set and props, venue hire and printing programmes. Most shows sell out so it's reasonably easy to make the money back. The Courier, Newcastle's student newspaper, reviews some productions and is the proud winner of the Guardian's student publication of 2012. Northern Stage does drama productions, and is available to students at certain times. Theatre Royal gets big touring productions. Live Theatre has primarily new writing. The Student Union hall is always available for the big annual panto. 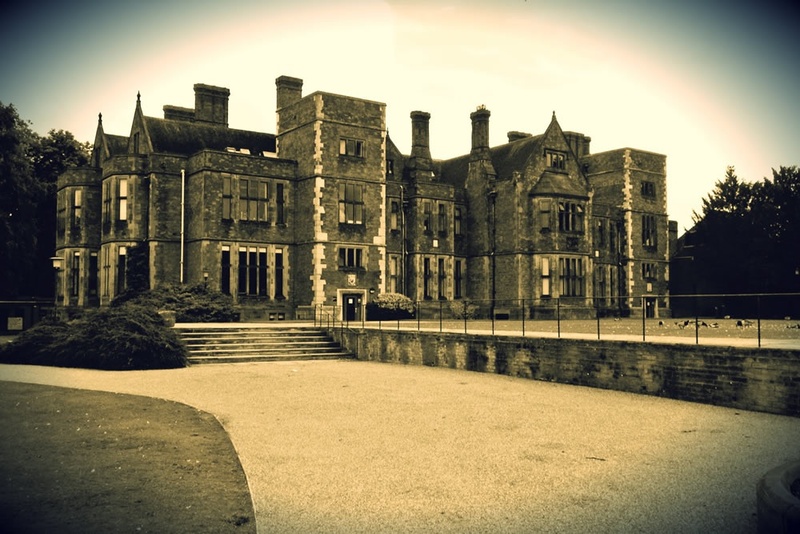 There's a whole hotch potch of different spaces you can use - plays have been produced in a Castle and in a nightclub! Can you study drama at Oxford? You can't study drama as a subject, but this means that the doors are wide open for absolutely anyone to get involved in the theatre scene, regardless of subject. The great thing about Oxford is that, although you're surrounded by such talented people that you'd think you'd never be able to make your mark, because everyone's so short of time you can forge the kind of role you want to play in its theatre world (whether performing, behind the scenes, or reviewing) by the amount of time you want to spend in it. You can dabble in it, or make it your life: there's room for both options and every grey spot in between. Oxford's drama scene is so extensive that they employ a recent graduate to coordinate it all as the University's Drama Officer. OUDS (Oxford University Dramatic Society) is at the very centre of the scene. This has the resources and the prestige to be able to make country wide tours, have stints up at the Edinburgh Festival, and put on termly productions at the Oxford Playhouse (one of Oxford's main professional stages with 600 odd seats). It also produces up to 80 productions every term. 35 odd productions compete in Cuppers, an intercollegiate drama competition of 30 minute pieces put on by Freshers in first term. (This is the first, easiest and best opportunity to suss out the Oxford drama scene. Pretty much everyone who's even remotely interested in drama will try to get involved in it, even if it ends up being the only play they're in. It's a great way to meet other (thespy) people in your college and the prizes awarded (by Oxford's main drama society, OUDS) provide a great starting point for getting to know other good cast and creative teams for future collaborations). Most colleges also have a theatre society of some sort, and will put on a play a year - whether an outdoor garden play performed in their college grounds or a piece put on in a dining room or library. College events like these are generally quite easy to get involved with: it's just a matter of showing enthusiasm and then acting on it. University wide societies focus on specific genres, from panto, light entertainment, musicals, opera, Shakespeare to classical works. Most produce at least one production a year. There are also lots of production companies and societies which provide different angles to the drama scene by focusing more on panto, light entertainment, musicals, opera, classical works or improv. A visit to Freshers' Fair reaps freebie pens and spammy emails aplenty so just get signing up there for all you might ever wish or need to know, plus a bit more. New writing at Oxford is going from strength to strength, with a New Writing Festival run by OUDS in second term. The best pieces of submitted work are produced, performed and judged next to one another in the Burton Taylor Studios over the course of a week. There are also a number of 24 hour play festivals that are put on (where the play is written, produced and performed in the space of 24 hours). The funding situation is generally pretty good: if you are resourceful and tap into the various society, university and college funds available, you should be able to put on just about anything. 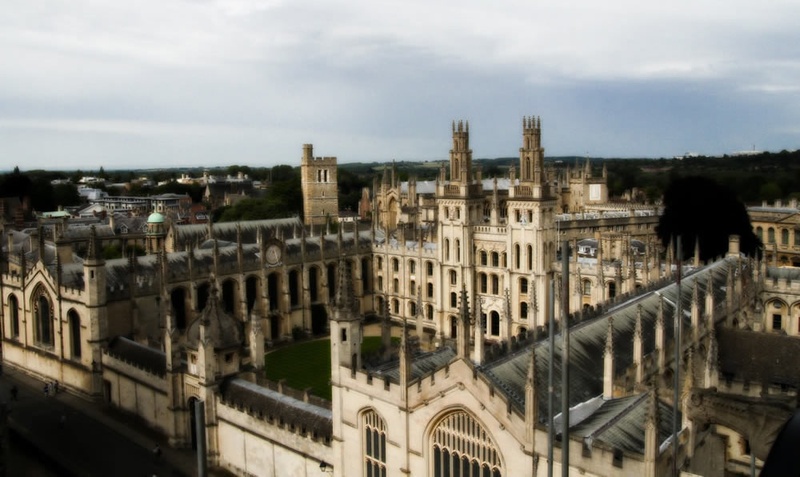 Take advantage of this while you're there - thanks to generous alumnae and Oxford's extensive wealth and history the opportunities for funding are far better than in real life! Oxford Theatre Review (OTR) publishes two reviews of the first night performance of most shows. OTR also feeds directly into Ed Fringe Review (EFR) which takes student reviewers to cover the more undiscovered parts of the Edinburgh Fringe Festival. The Oxstu newspaper prints preview reviews of main productions in its weekly paper. The Cherwell newspaper publishes first night reviews in print and online. New Theatre welcomes bigger budget touring musicals and comedy nights. The Oxford Playhouse houses touring professional productions for a week at a time, with some one night productions. OUDS put on a termly production on this professional theatre space with its 600 seat auditorium. 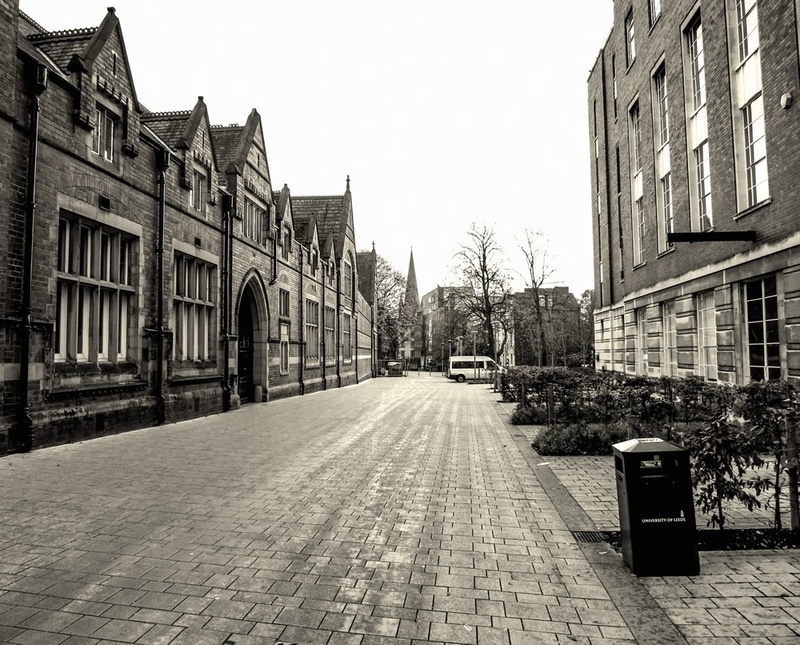 It is very unusual for students to get the opportunity to produce a play on such a large and professional scale, and quite possibly is unique to Oxford. Burton Taylor / BT Studios - This small 50 seater is a lovely little space that is run by the Oxford Playhouse and dominated by shorter-length student shows during term time. Cuppers and the New Writing Festival both take place here, and during the rest of term there are two performance slots (an early one at 7.30pm and a late one at 9.30pm). Keble O'Reilly - based in Keble college this 180 seater has weekly student productions, with some big comedy events performing around them. College spaces - most colleges have a space which, if not solely dedicated to putting on plays, is at least very used to having theatre performed there. The Wheatsheaf is a small space for comedy above a pub on the high street. The Oxford Imps perform here on Mondays. 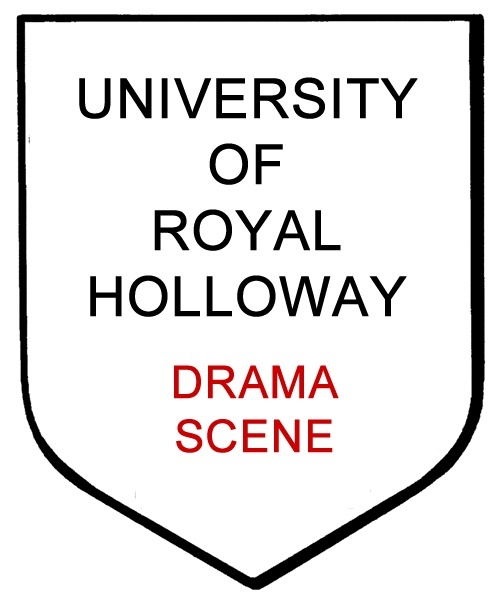 Can you study drama at Royal Holloway? Yes, the department offers a BA in Theatre Studies, as well as various combinations such as English and Drama, Music and Drama, etc. There are also a number of MA courses available, including an MA in Applied Theatre and an MA in Directing. There are a number of drama and performance societies, some specifically for drama students but many for anybody attending the university who wants to get involved in any way at all. Every year there is a student pantomime, cross-society dance show, musical review and inter-university dance competition as well as regular society productions. The Student Workshop is a society run and funded by the drama department which is only open to drama students. They produce five full-scale shows per year, as well as two smaller, rehearsal room slots. Drama Society produces five shows a year, as well as various comedy nights run by their improvised comedy group, The Holloway Players. The Drama Society also takes a show up to the Edinburgh Fringe Festival every year, and is hoping to introduce an inter-univeristy Drama Festival produces three productions a year, as well as various un-auditioned events such as a Christmas Concert and a Weekend Show. Savoy Opera Society produces two full-scale operettas a year, as well as a number of workshops and often get involved in inter-society events. As well as these societies the university also plays host to a variety of choirs and dance societies, and every Christmas holds a RAG (Raise and Give) Pantomime. 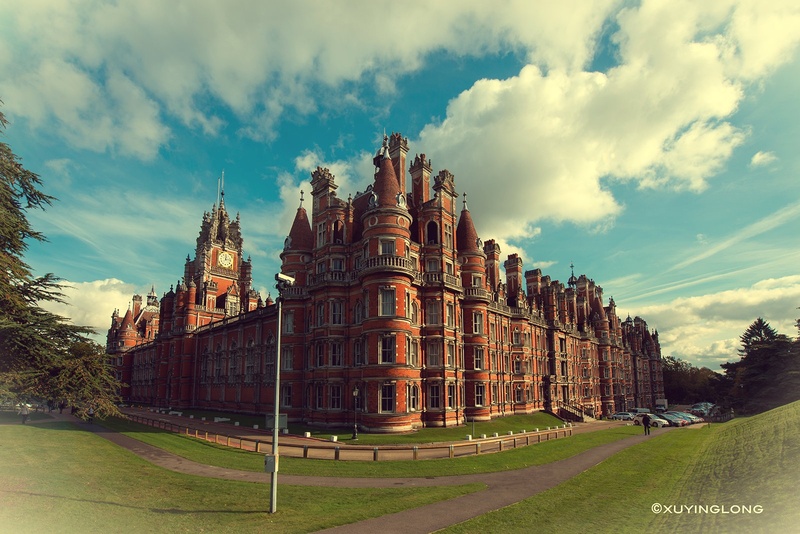 On top of the BA in Creative Writing course that is offered at Royal Holloway there is an active Writing Society, that joins with both the Student Workshop' and Drama Society for a number of new-writing events throughout the year. All of the new writing events held at Royal Holloway are much more workshop based than the main productions, which adds a wonderful variant to the theatrical landscape the university has to offer. Societies that are run through the Students Union are also funded by them. The funds are there for the societies for the whole for the year, rather than for individual productions, but this funding is minimal. As a result each production team has to fundraise the majority of the capital for their show themselves, which is no small task when putting on a full-scale musical! Before being awarded their bid the production team has to prove that they will break-even at least, based on their worst-case scenario, to ensure that the show will not push their society into debt. There are two regular print publications at Holloway that review the recent productions; The Founder' and The Orbital'. There is also a number of budding theatre critics within the community that review on their own websites, as there is a Theatre Criticism' module that the drama department runs and the students on the course are encouraged to practise their skills on the local productions. The Caryl Churchill Theatre is the brand new, state of the art theatre that the drama department and Student Workshops have exlusive use of. There are 3 other indoor performance spaces, including the Boilerhouse drama studio theatre with its sprung floor, as well as the Jane Holloway Hall and Student's Union Main Hall. 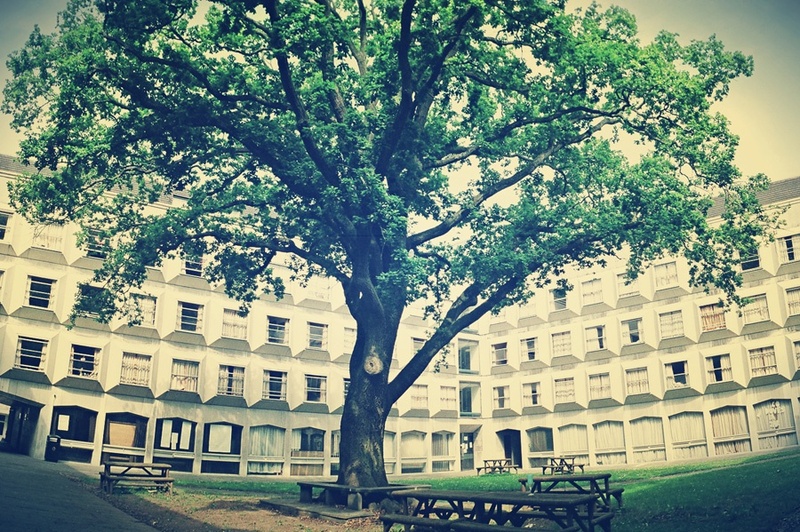 The South Quad holds a classic production outside every summer that many members of staff and the local community attend. Can you study drama at Warwick? Yes, Warwick runs a Theatre and Performance Studies degree course which offers both practical and theory modules, as well as an MA in Drama and Theatre Education. A look at Warwick University's theatre scene. Warwick has a wide range of theatre societies dedicated to supporting new student work, presenting high-quality productions of published plays and musicals, and giving students an experience that is as close to what they would have in the professional world as possible. In addition, Warwick annually hosts the largest student-run performing arts festival in Europe, WSAF, where hundreds of pieces of theatre are put on in a matter of days. There are also regular workshops, scratch nights and fundraisers for productions. Warwick University Drama Society (WUDS) - NSDF award-winning society dedicated to producing published plays. Including productions in WAC's Studio, The Loft Theatre Studio, site-specific Shakespeare in the woods as part of 'WUDS in the Woods', as well as regular appearances at NSDF and Edinburgh Fringe. Music Theatre Warwick - produce high-budget musicals in the WAC Theatre and Studio, as well as small-scale 'weekend shows' where a musical is rehearsed from Friday to Sunday and performed on Sunday afternoon. In addition, they run an ensemble session each week to practice new material and dances; this group is open to all and performs regularly at concerts and events. Opera Warwick - annually perform in the WAC Theatre, as well as smaller productions and concerts throughout the year. Freshblood - dedicated to producing the best of new writing, they run âFreshfest' annually, a week celebrating student writing. Tech Crew - for anyone interested in technical or back-stage theatre, be it set, lighting or stage management. Drama Collective - a society dedicated to ensuring the cohesion of student drama across the different societies, who also oversee the submissions process for performing in Warwick Arts Centre, to ensure that productions and teams are as prepared as possible before embarking on a production. The student societies at Warwick are very supportive of new writing, with a society dedicated to just that. A wide range of funding is available throughout the year for any production students wish to put on. The SU and societies are all incredibly supportive of new and challenging student work; the SU runs a Project Fund as well as the Opportunity Fund, whilst there is also funding available from the RSA, Lord Rootes Memorial Fund and the Institute of Advanced Teaching and Learning, who have funds dedicated to performance festivals such as NSDF or Edinburgh. The Boar is the student newspaper which regularly reviews shows at Warwick Arts Centre. In addition, SARs for WAC (see below) have the opportunity to review shows and publish their reviews on the WAC website. 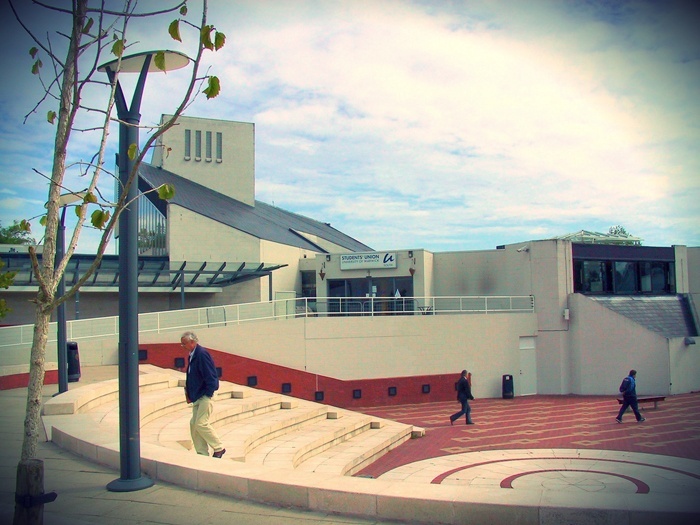 â¢	Warwick Arts Centre (WAC) - At the heart of the university campus, a 500-seat theatre. Many students work as stewards or student arts representatives for the arts centre. â¢	The Loft Theatre, Leamington Spa - Allow WUDS to perform in their studio twice a term, and offer opportunities for students to work as Press Officers to gain experience of theatre marketing. â¢	Royal Shakespeare Company, Stratford-upon-Avon - Just half an hour away from the university campus. Students can join The RSC Key to purchase £5 tickets to their shows. Can you study drama at York? As part of the Department of Theatre, Film and Television there is a BA in Writing, Directing and Performance - studying dramatic texts and then realising them for stage or for film. The Drama Society enables students from any department to get involved with performing, producing, directing and even writing productions. There are productions put on pretty much every week. The Gilbert and Sullivan Society performs a G&S show both in the autumn and spring term as well as a non-G&S show in the summer. York also takes part in an Inter University Student Drama Festival. There's also the TheatreGoers society, which attends productions in York and the area as well as running bigger trips to the likes of London, Manchester and Edinburgh for special events. The York Inklings are a creative writing society which hold weekly meets with writing games and discussions where its members bounce off ideas for poetry, stories and scripts. York University's theatre scene is well supported by external bodies. It recently received a £100K grant from the Foundation for Sport and the Arts for lighting equipment in the theatre, and the Sylvia and Colin Shepherd Charitable Trust will be supporting the first full production on the newest stage. To help gain more funding they have sponsorship opportunities including seat-naming and donations of equipment being purchased for the department. York Vision and Nouse are York's student newspapers. One of the university's main theatres is a 200 seater with state of the art technology: an excellent lighting desk, audio capabilities and the opportunity to record and produce theatrical events. With thanks to Shiona Walker, Patrick Kennedy, Emily Vaughan-Barratt, Krista Lahey James, Alice Morris, Kate Shlugman, Ashleigh Carter, Jack Stanley, Pip Willett, Lisa Childs, Hannah Eugenie Tookey, Jenn Pawley and Anieka Saxby for their contributions.